Treat yourself to a truly stunning piece of jewelry! 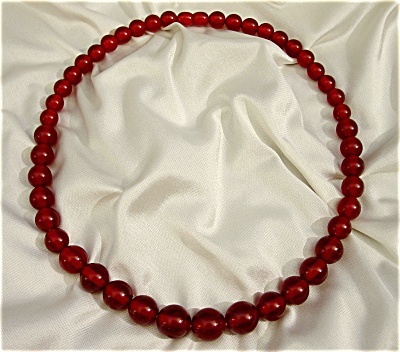 Stylish bakelite necklace done in an exquisite shade of red. Classic design of graduating beads. Faux bead screw on clasp. Bakelite has been simi chrome tested positive.